A Blog Named Hero – Happy Challenge! A quick post today sharing with you my card for A Blog Named Hero challenge – Happy! I am late sharing this card as I was away over the weekend. But hey better late than never, right? The challenge requires you to make a happy card. You can have the word happy on your card or a card for a happy occasion or just a happy card. It is upto you. I decided to make a happy holiday card as I have started making Christmas cards for this year. 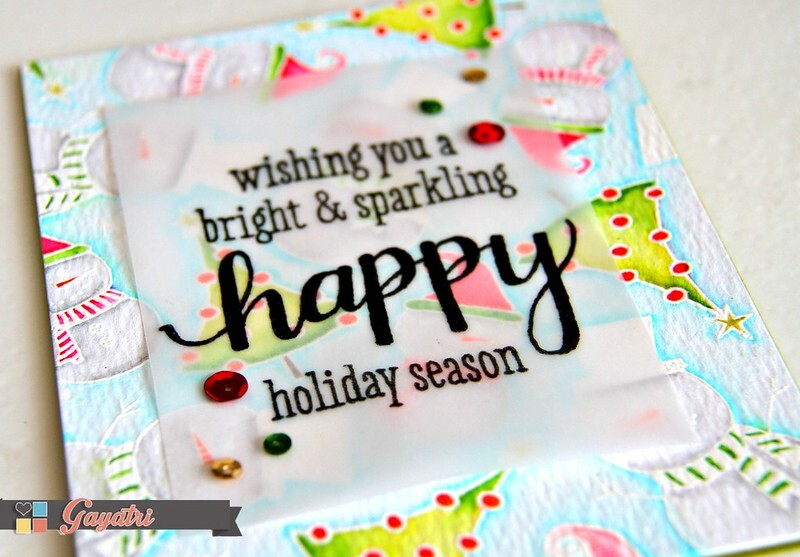 I started with white heat embossing the images from Snow Much Joy stamp set from Hero Arts on Tim Holtz watercolour paper. The I coloured them and the background with Zig Clean Brush watercolour pens. I adhered this panel to the green card base. Now I am a bit obsessed with vellum over lay at the moment. So I have black heat embossed the sentiments from Snow Much Joy stamp set and Happy Stamp and Cut set which I combined to make my focal point. I added glossy accent behind the heat embossed sentiment to adhere the vellum panel on the card front. 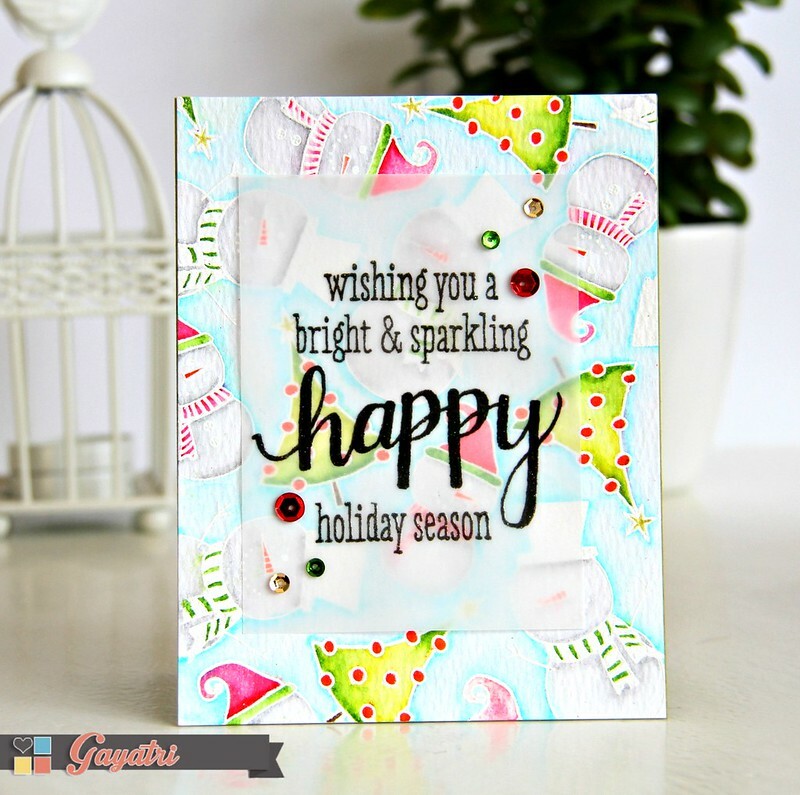 Finally accented with Pretty Pink Posh’s Classic Christmas Sequins mix. Pretty Pink Posh is our collaborating partner. Check out A Blog Named Hero Blog for more design team inspiration on the challenge and the linky to link your project. a very HAPPY card Gayatri. It's really pretty. Love the background!! At this time, I'm also in love with the vellum overlays! Oh my! This is beautiful! I usually steer away from cutesy images, but I love what you have done! The colors scream happy! Love them!